I cannot get enough of this savory carrot soup! I look forward to the winter months solely for soup. It is the perfect appetizer for dinner with guests and easy to reheat for a quick solo meal. I wanted to create a carrot soup that enhances the delicate flavor of the carrots instead of covering it up with sugar and heavy spices. 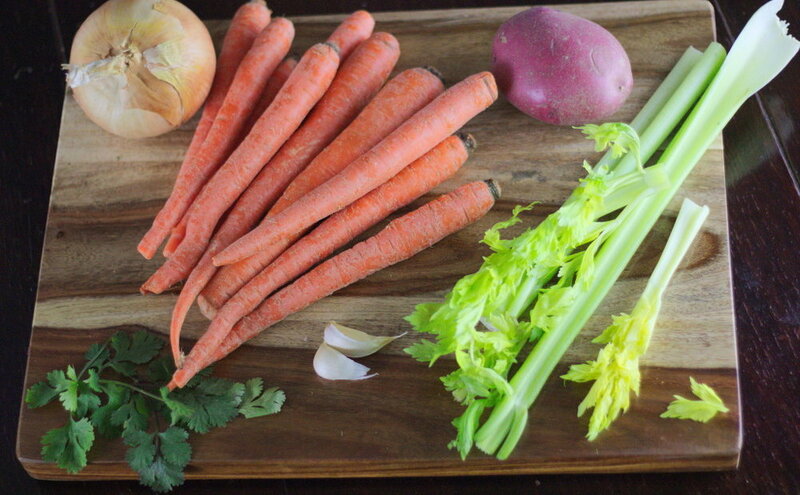 Carrots are already naturally sweet and the celery, coriander and cilantro add a nice depth. Be sure to add plenty of salt and pepper to taste as it really brings out the flavors.